LOWER RENTS: Beautifully Remodeled Detroit Homes With Lower Rents 100% GUARANTEED! 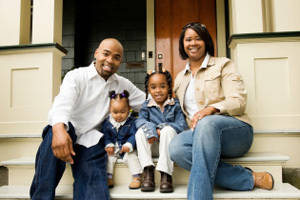 With “We Rent Detroit Homes” your rent can be $100.00 to $200.00 LESS than the current market rates! If this sounds too good to be true then call (313) 462-2434 right now and give us just 60 seconds to prove it. Nowhere else can you rent a newly refurbished home in Detroit and get such a high quality home with the personal customer service and respect you deserve like “We Rent Detroit Homes”. Take advantage of exceptional customer service, and at the same time pay much lower rents than the current market value… it’s that easy! You’ll love living in a much nicer Detroit rental home and paying far less rent than some of your neighbors living right on the same block! AMAZING SELECTION: Get Superior Quality Detroit Rental Homes PLUS The Personal Service You Deserve! BETTER HOMES: Your New Detroit Rental Home Has Passed Our Rigorous 110 Point QUALITY Inspection! Every Detroit rental home has passed our 110 point inspection that includes safety, functionality and appearance testing to make sure your new Detroit residence functions properly and looks its finest. Our in-house construction manager and full-time staff perform quality control checks on all workmanship to guarantee you the highest standards of Detroit rental homes. “We Rent Detroit Homes” delivers you incredible customer service that is focused directly at you… the tenant. This unique approach to rental homes in Detroit includes newly remodeled houses, beautiful renovations and stylish updates plus 24/7 emergency service that you can always count on for any emergency or misfortune. BONUS: Make Good On Your Rent Payments And Enjoy The OPTION TO BUY With ANY Credit Score! Enjoy a newly remodeled Detroit rental home, pay your rent on time and then you’re got the opportunity for “lions share” of select Detroit homes with the option to purchase. That’s right. You have the amazing opportunity to purchase your Detroit rental home after making just 12 months of on-time payments! After that you are then qualified to purchase your rental home REGARDLESS of your credit score, income or assets!